Make your humbuckers sound like a P-90's, Your P-90's sound Strat like. Help your Strat cut through the mud. 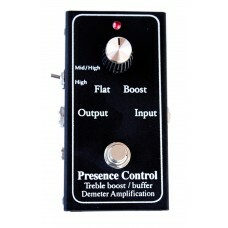 The pedal brightens your guitar by boosting upper mids with a curve tuned by Demeter through years of experimentation. A toggle give you a choice of a high boost or you can add more mids. 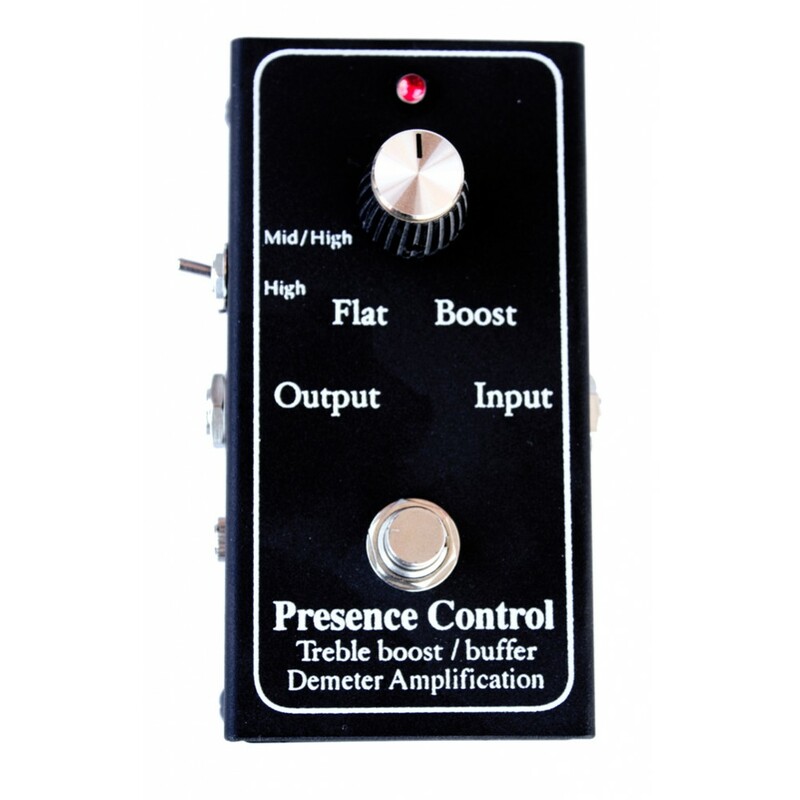 The unit is set up as a buffer to help you run your pedal board or buffering you guitar for long cable runs. The boost gives you up to 14 dB of boost or any amount in between set by the pot the foot switch kicks it all in.